The FEMA Emergency Management Institute (EMI) offers self-paced courses designed for people who have emergency management responsibilities and the general public. All are offered free-of-charge to those who qualify for enrollment. See the EMI Course List for more information. Local Emergency Managers set training requirements for individuals seeking to become members of the RACES Auxiliary Communications Element in their respective counties. The list below reflects generally required courses. Check with your Emergency Manager for His/Her requirements. A lower case letter at the end of a course name (IS-100b) indicates a later edition. Persons certified with earlier editions will probably NOT be required to take refreshers or to update. Members of The CCECPSCO organization are urged to send documentation to the club secretary for all classes taken. Emergency Managers may schedule a number of exercises during the training year. Those exercises can range from workshops and simple table tops to full-scale field events. Contract your local Emergency Manger for additional information. The CCECPSCO provides trained communicators for activation under the Radio Amateur Civil Emergency Service (RACES). 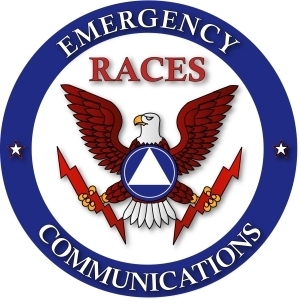 RACES is a service activated by local, regional, or state Emergency Management to provide auxiliary communications to the professional emergency/disaster services during disasters, communications failures, overload of the professional communications services, and other times of need. RACES is also activated in association with training activities and exercises conducted by Emergency Management.